Who are we, why are we here? At Little Love Foundation we know that death isn’t choosy. It can come to anyone and at anytime. In many cases, families are preparing to welcome a new life and are suddenly faced with the overwhelming and all-encompassing grief of their baby dying unexpectedly. Sadly, it happens all too frequently, and in our community we know many people who are personally affected. What can we do? When someone suffers a loss, people want to reach out and help out in some way. Little Love Foundation is no different. One of the biggest struggles for families in this situation is the financial cost of burial or cremation. Our aim is to help families in the Lakes District with some of those costs. We know that making memories is important too. When a baby dies you only have a short time with them and it is important to make the right decisions. We want to make sure you have access to the little things that can make a big difference – like hand and foot prints, memory boxes and beautiful burial gowns or pockets. We know that these things will help the healing process in time to come. We’re trying to think of everything so that you don’t have to. They say, parental grief is the hardest type of grief you can ever endure. We know, we’ve been there. That’s why we want to give to our community; by sharing our knowledge and practical support we hope to make the present and the future a little easier on families facing the loss of a child. Sometimes, families cannot afford the burial or cremation they would like to have and this can make it harder to come to terms with their loss in the future. We can provide financial assistance and we have special connections with industry specialists who care just as much as we do. We know you won’t be prepared to dress or wrap your little one if he or she dies. That’s ok though, we are prepared. We know what you need, and we have just what you need, at no cost to you. We understand how hard it is to lose someone so precious to you. When your child passes away, there are little extras that can help you get through a hard time. Our bereavement kits contain practical items and small comforts that you and your family might need in those first difficult days. We want to connect you to the people in our community who can help you to make memories, as well as provide you with some resources to make special keepsakes you will treasure forever. If you have landed here because you need our help, we would be honoured to assist you in any small way to get you through the death of a child. Little Love Foundation can’t run on love alone. We need financial support, for us to be able to help families who sadly need us. Every little bit counts. All money raised goes directly to families in need. We will only be responding to urgent emails/calls over the weekend but will be back at it on Tuesday morning.  Earlier this year we were lucky enough to do a training course as part of our prize for receiving the 'Epic Pitch Runner-Up' at the 2018 Rotorua pitch night. Are you a certified psychologist or counsellor who specialises in grief & loss support? We are looking for trained professionals who are interested in teaming up with the Little Love Foundation so that we can offer lasting support to the families we help.